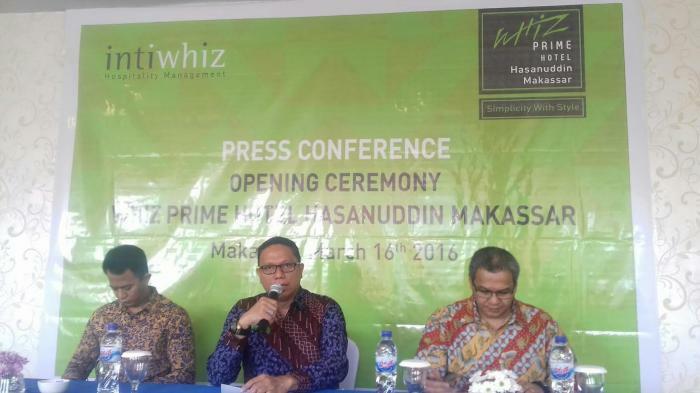 As one of the rapidly developing Hotel management companies in Indonesia, Intiwhiz Hospitality Management continued its expansion in various major cities in Indonesia by officially opening its 14th Hotel with WHIZ PRIME HOTEL HASANUDDIN MAKASSAR on Monday, 3 Maret 2016 and Conduct Press Conference with media in the same date by All Media Makassar, Director Operational Bapak Tito N Munawar , Corporate General Manager Sales & Marketing ( Edi Syumardi ), and Timothy ( Hotel Manager WHIZ PRIME HOTEL HASANUDDIN MAKASSAR and Also Corporate Marketing Communication Manager Anti Purnamasari . 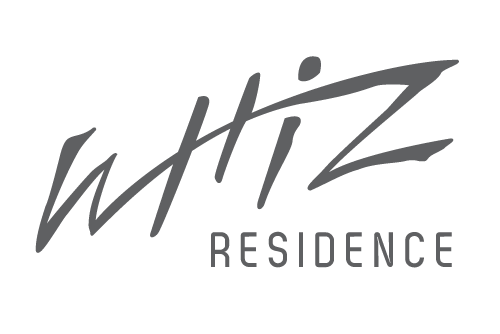 WHIZ PRIME HOTEL HASANUDDIN MAKASSAR Jl. Sultan Hasanuddin No.4 Makassar Sulawesi Selatan is, a location that is close to various major tourist attractions such as Losari Beach Benteng Fort Rotterdam, Lapangan Karebosi, dan taman macan,. The area is also known as the center of MICE activities, making WHIZ PRIME HOTEL HASANUDDIN MAKASSAR the perfect Hotel for either leisure or business travelers visiting Makassar. The Hotel is equipped with 147 guest rooms with 3 distinct room types (Standar, Superior andDeluxe), as well as complementary facilities such as meeting rooms, Swimming Pool and restaurant, with Spa facility soon to follow. Additionally, guests staying in the Hotel can also enjoy authentic Makassar-style menu during breakfast with Coto Makassar and Es Pisang Ijo, just one of the things the Hotel has done to incorporate local values to increase the quality of our Hospitality experience for the guests. During the opening period WHIS PRIME HOTEL HASANUDDIN MAKASSAR offers only the best rates starting from Rp. 345.000,-nett for all room types, with breakfast for 2 included. This offer is valid only up to 30 April 2016. For more information please contact +62 411 361 2288 or visit www.whizprime.com and www.intiwhiz.com, where you can also find only the best rates for our guests. EARTH DAY GLOBAL CAMPAIGN " NO MORE PLACTIC BAG"